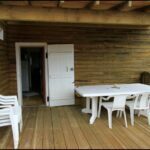 GO4surf Chalet - Go4surf: Wellenreiten lernen / Wellenreitkurse in Surfcamps an der französischen Atlantik Küste. 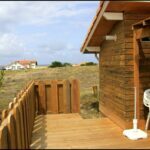 Surfen lernen für Anfänger und Surfkurse für Fortgeschrittene. 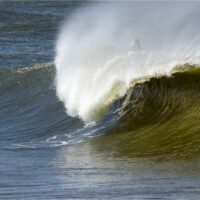 Wir bieten Surfunterricht und Surftraining bei ausgebildeten Surflehren. 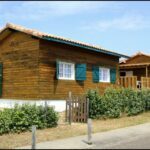 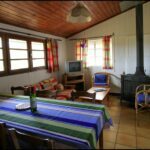 This package includes surf lessons, equipment and accommodation in a beautiful wood chalet in the heart of Contis for 4 to 6 people. 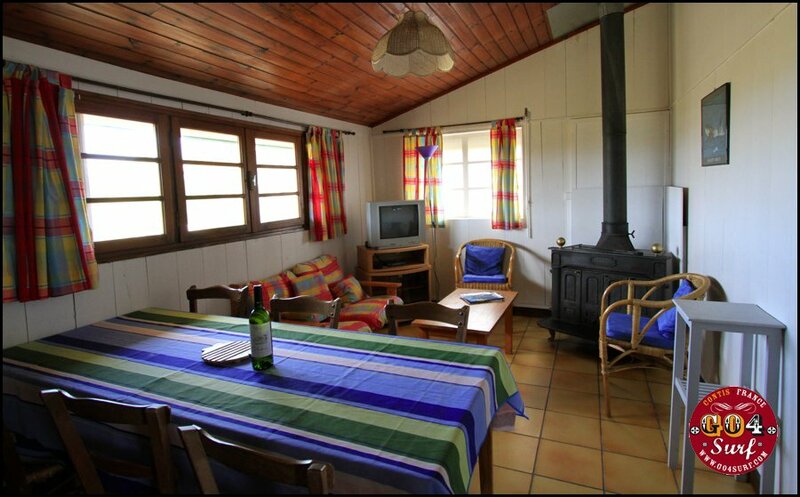 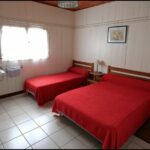 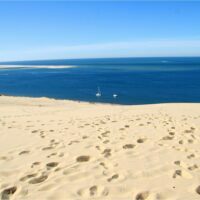 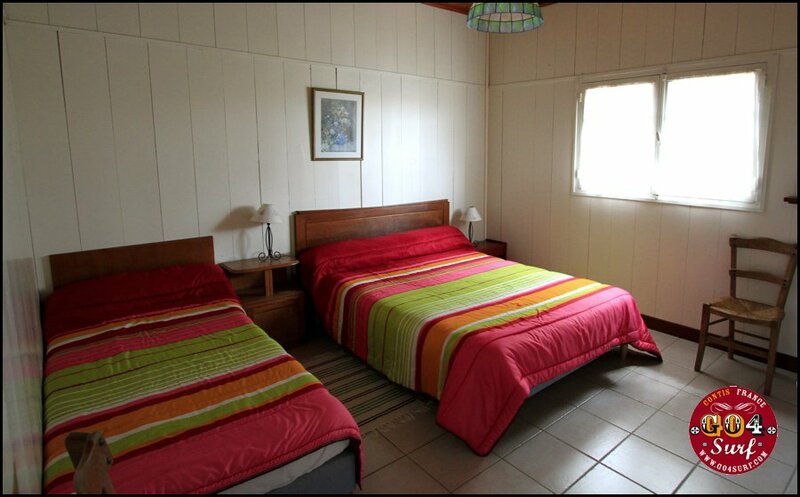 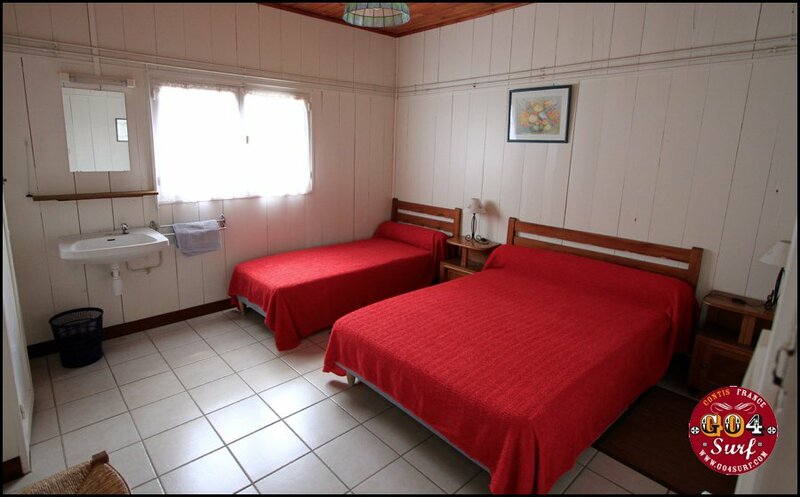 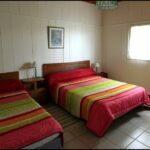 The chalets are situated 300m from the beach, 150m from the town centre and surrounded by pine forest. 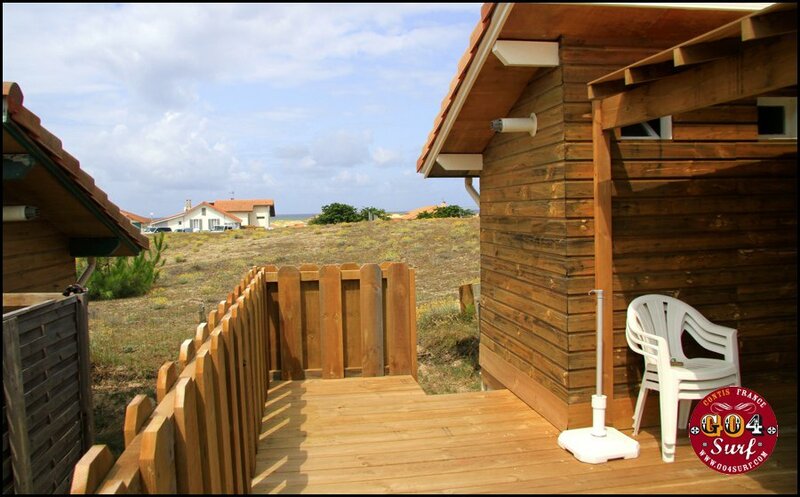 150m from the main road. 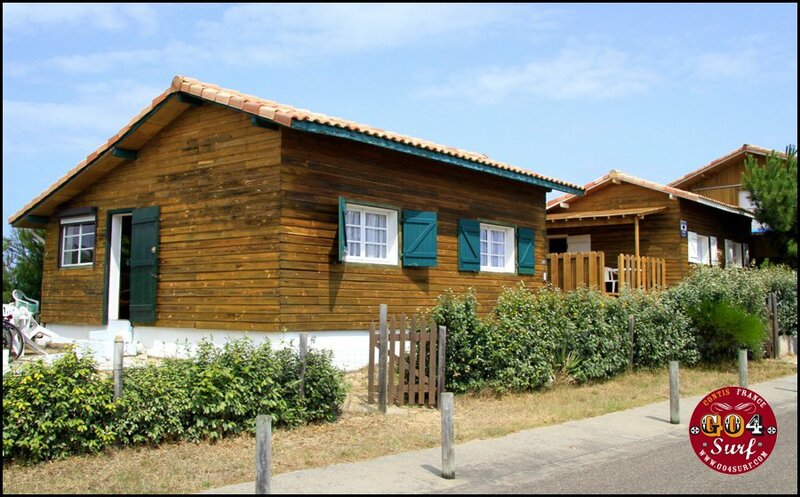 Parking available in front of the chalets. 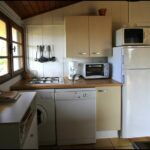 15m2 lounge room with wood fire, TV, Internet. 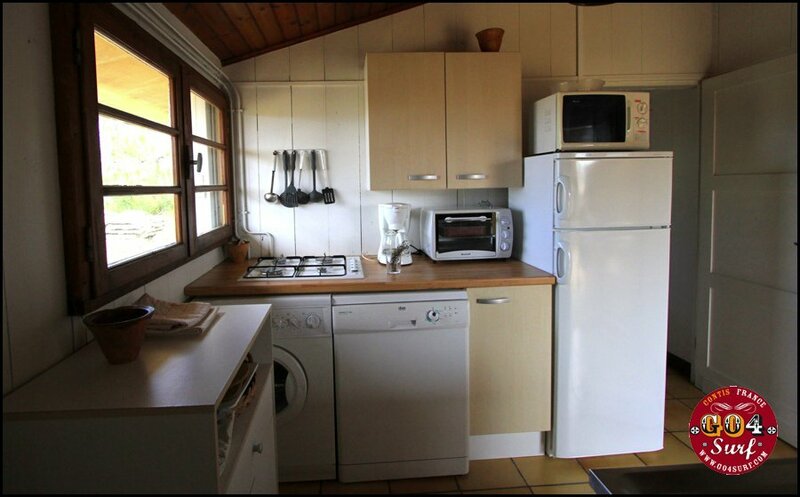 7,5m2 kitchen with fridge/freezer, dishwasher, microwave, washing machine, mini oven and gas stove. 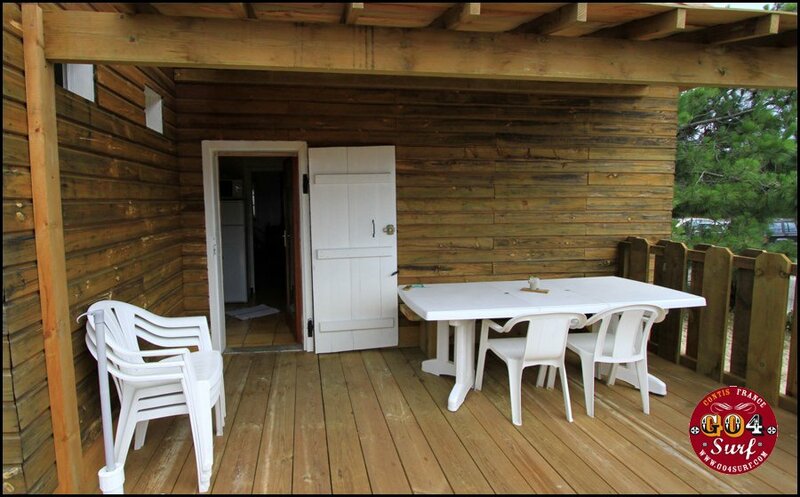 Southern facing outdoor wooden deck with table and chairs.